Accidents and spills can mean trouble. Incontinence issues, drink spills, and other messes can lead to bad stains and smells. Pop-out chairs and sofas can save you plenty of hassle and make the cleanup process easier that with typical furniture. Here’s how pop-out seating can help your facility. A single mess under a piece of furniture can cause quite a headache. A spill can force cleaners to move several pieces of furniture in order to make enough room to get to the spill. Pop-out and clean-out seats are designed with easy-to-remove seats and a lightweight frame so that you don’t have to deal with that hassle. 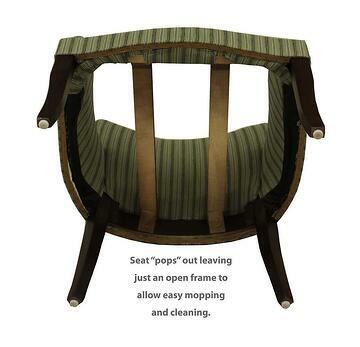 Removable seats leave a large opening so your cleaners can mop up messes without dealing with the rest of the room. Pop-out seats are made with a bottomless reservoir so that are fluids drains straight to the floor instead of getting caught up in the furniture frames. In order to have various spills slide straight to the ground, they have to make it past the cushions. 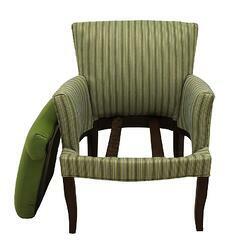 Pop-out chairs and sofas can be upholstered in fluid- and stain-resistant fabrics to prevent absorption. No absorption means that your cushions won’t stain or smell after you clean up a mess. Certain fabrics even feature anti-microbial and anti-fungal properties. Nobody wants some unwanted gunk growing in their furniture. Accidents and spills can be a normal occurrence for health care facilities. Pop-out seating makes it easier to deal with incontinence and other issues while protecting your furniture investment. Create your own Furniture Concepts wish list today to get a no-responsibility quote on pop-out furniture for your organization.